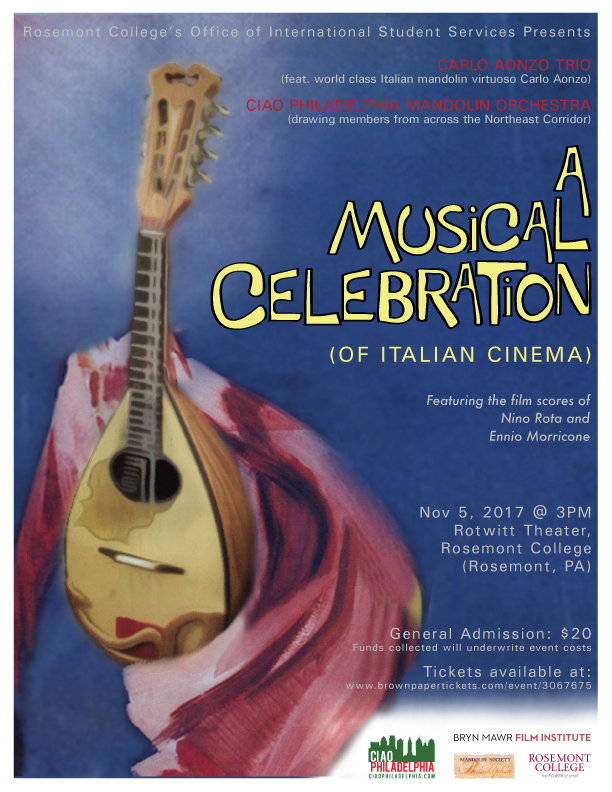 Earlier this year a non-profit Mandolin Orchestra with whom I had previously worked to design some logos approached me to create a poster for an upcoming concert featuring Italian film music. "Much of the film music that we will be featuring comes from the 60s and early 70s so anything that evokes that time period would be great. The design should also incorporate/reference both of the following elements: 1. mandolin, 2. Italian film." 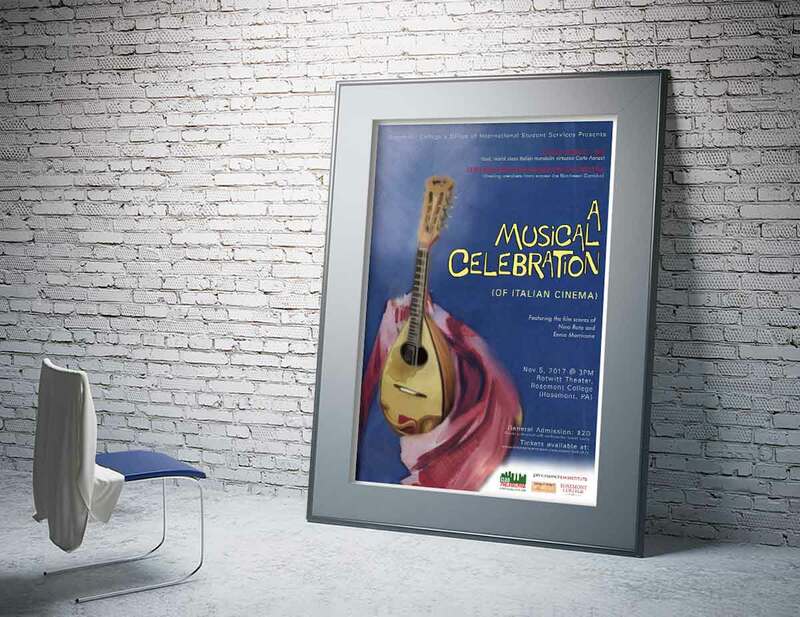 I started this project by researching Italian film posters from the 60's and 70's. Design posters from the era were created in mixed media using hand-painted and hand-lettering techniques. Playing off of "La Dolce Vita", I decided to create a Mandolin with a red drape. I worked in photoshop to create the painted background. In illustrator, I hand-lettered the title and added the remaining text and logos.